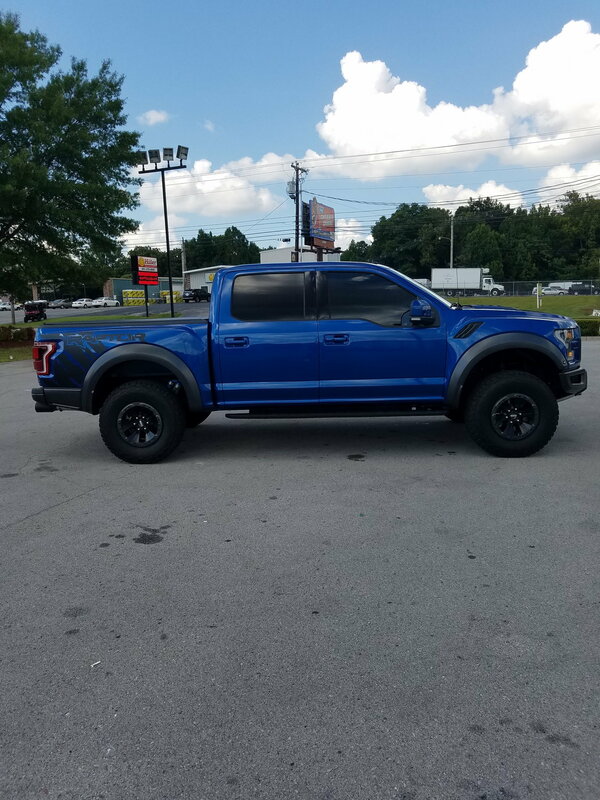 Has anyone here had a readylift 3.5" front & 1.75" rear lift/level on their raptor? I want to lift mine but prefer not to permanently alter it like the fabtech 4" lift & what's a 1/2" gonna matter anyway. I haven't found much info on it & trying to find out what size tires I would need to run & thinking either 36 or 37". Last edited by Southeast Beast; 09-04-2018 at 10:00 AM. both can be 'lifted' by adjusting the front coilovers but they do it differently. Gen1 has a clip that can be moved. Gen 2's have to purchase a collar that is adjustable. I'm pretty sure you are limited to ~1.5" on both. You 'can' get about 3" on Gen1s but you start running into axle binding issues on top perch. Gen1s can't run 37s without doing something about the pinch welds on the firewall. Gen2s can run 37s with just the adjustable collars. In the rear I'd ditch the block and get a set of Deaver +1 springs. If you are going to spend the money on a Raptor - don't cheap out on suspension stuff. Well I contacted readylift & it seems they do NOT produce a 3.5" lift for the raptor & that southern car parts had mislabeled it as such. I really want to lift my raptor but don't want to screw up the factory dynamics or hack anything that would render it irreversible(ruling out the fabtech 4" lift). I decided to go with the readylift sst 2.5" front & 1.5" rear lift that in was able to acquire for $319. I know it isn't much,but every little inch counts(I know,that's what she said lol) & I want my raptor to stand out from any plain vanilla factory raptor in several minor ways that any true enthusiast would surely spot. Also noteworthy is that having extra clearance for bigger tires never hurts. Not sure if you have a Gen 1 or Gen 2 but I wouldn't have gone that route. Never put a spacer on top of the Coilover. You will damage them! Like mentioned above, there are a few options to get your truck to that ride height without sacrificing the performance. I have had readylift sst lifts on 2 superduties & turned out great. It's nothing drastic but I can use all the ground clearance I can get here in the hill country,not gonna travel across the desert at highway speeds & wanted something that wasn't permanent. Right after install,will probably settle some. That's one beautiful ride! Enjoy it!